washed & carried away by lava waves.. 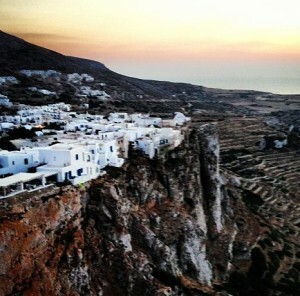 In an article on CNN.com, the famous news portal and world wide news TV channel, suggests the Top-9 Greek islands that you should visit sometime for holidays! The categorization is done by activities and priorities on someone’s vacations, like nightlife, scenery, tradition, beaches, watersports, and so on! 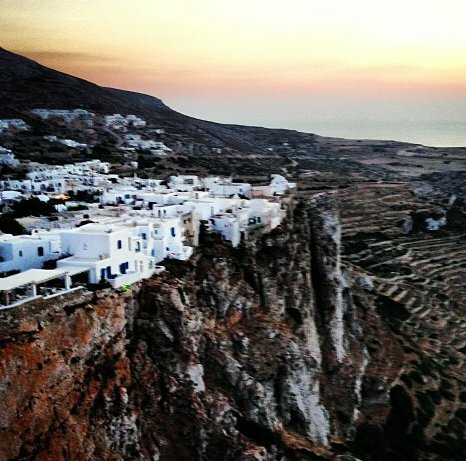 See the whole Top 9 Greek islands list! Athens International Airport Eleftherios Venizelos is about to release a new IPhone application, that is still under development. There was a leakage of some screenshots earlier this day, published on the Greek Radio’s site of HotStation. Due to this article, the Airport that started its operation just in 2001 is still in the spirit of today and tomorrow’s trends, fashion and technology and it will release the Athens Airport iPhone application before Xmas season. Dori Media Group announced that it has sold its interactive cross platform reality format “uMan”to Mega; the number one Free-to-Air TV channel in Greece. Dori Media Group is an international media company that focuses on production, distribution, broadcasting and merchandising of Telenovela and Cellcom Israel, the leading cellular operator in Israel. Mega television channel was the first private television station in Greece and was launched in 1989. The network airs comedies, dramas, news, current affairs and entertainment shows. The station has also successfully aired reality TV shows. Mega will extend the format’s length so that it follows the show’s participants for 45 days, 7 days a week and over 24 hours a day. Viewers will also be able to catch up events of the day through a daily TV show dedicated to “uMan” on the Mega channel. “uMan” which has won multiple Accolade Awards has now been sold to 15 countries in only 12 months. The Group Leaders ‘Argentina’ faced the former European champions in a game that could spell the end of the World Cup for the Greeks. The Argentineans on the other hand are firmly perched on top of Group B, with their progress into the next round of the world cup almost certain. Messi became the youngest Captain in Argentinean history, leading his team at the age of 22. The Argentinean coach, Diego Maradona, rang the changes and rested players like Carlos Tevez and Mascherano for this match. Upfront he brought in Sergio Aguero and Diego Milito, in what looked like a very formidable side despite the changes. Greece coach Otto Rehhagel made two changes by bringing back Giorgos Samaras instead of Fanis Gekas and introducing defender Vangelis Moras. Greece’s most notorious prisoner escaped from an Athens jail yesterday in a Hollywood-style helicopter getaway – for a second time. Vassilis Palaiokostas, 44, had escaped from the maximum security prison in 2006 in an operation involving helicopters and fast cars. He was arrested again last summer for allegedly organising the kidnap of an industrialist and was awaiting trial. For any reproduction - usage of material shown on these pages an approval from Lavantis.com website's administrator is required - Lavantis.com - LavaLand blog.. Copyright © 2019 Lava land.